Adelaide composer Mark Simeon Ferguson has set Helga Visser’s picture book classic The Bush Concert to music. 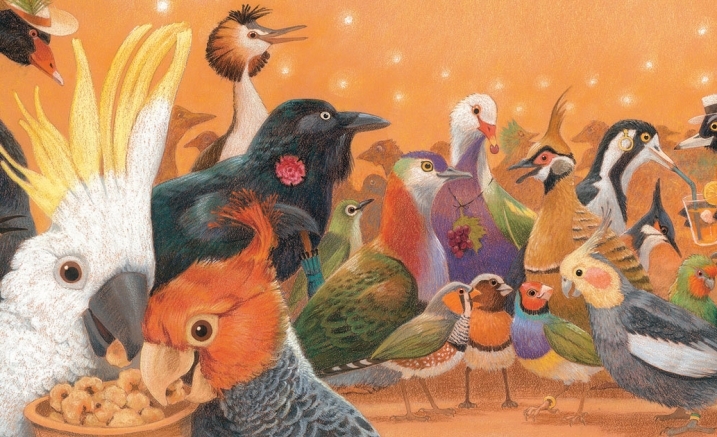 Melbourne Youth Orchestra makes the sounds of all the bush birds, while Susan Ferguson tells the endearing story of how, during a terrible drought, the birds put on a gala concert to cheer themselves up with singing, dancing and magic tricks. Kids love picking the ‘galahs’ and ‘noisy miners’ from the different instruments on stage. Music Play is supported by the Betty Amsden Kids & Families program. Babes In Arms - Babes in Arms applies to this event. See below for more information. A Transaction Fee between $3.50 and $8 applies to orders made online and by phone. A Delivery Fee of up to $5.50 may also apply. Babies under the age of two may attend free of charge and be admitted without a ticket, on the condition that they do not occupy a seat and sit on the lap of a parent or guardian.